Home > Estimates > Estimates - FAQs > Can I Link an Estimate to More than One Invoice? Avaza allows you to link the estimate to one or more invoices. Navigate to Quotes/Estimates > Click on the Estimate you want to link invoices to. 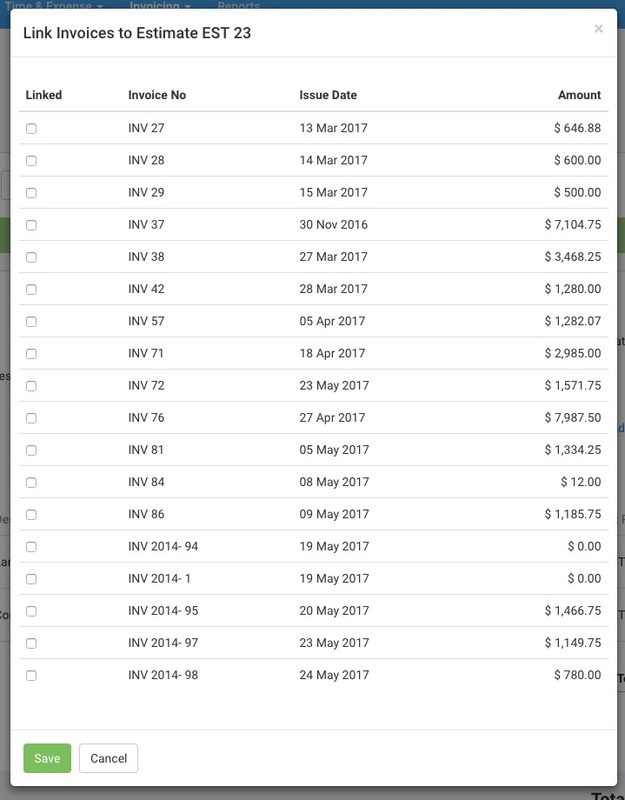 In the drop-down menu labeled Actions, click on ‘Link to Invoices’. 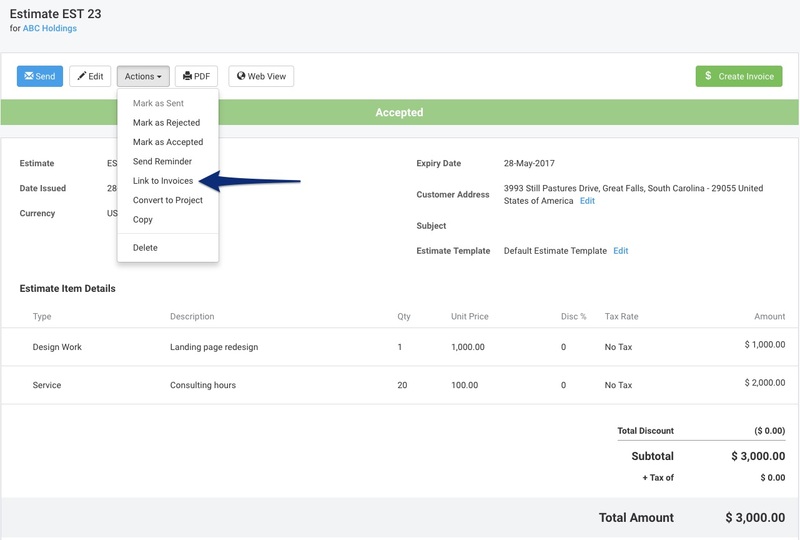 You will then see a list of Invoices for the same customer that can be linked to the Estimate. Click on the Invoices you want to link with the Estimate, and click ‘Save’. Read our Getting Started with Estimates & Getting Started with Invoices guides for more information.